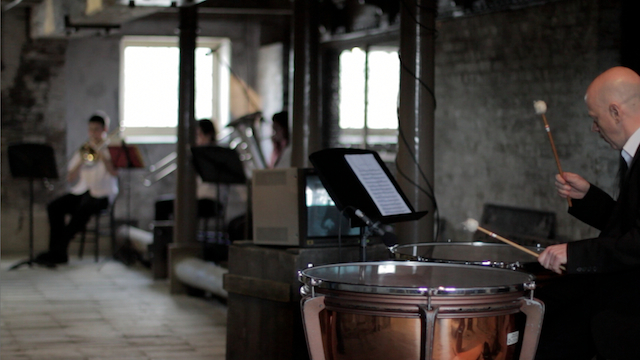 An Exploded Symphony and a Site-Specific Sound Installation By Artist Thor McIntyre-Burnie produced here in collaboration with the New London Orchestra. 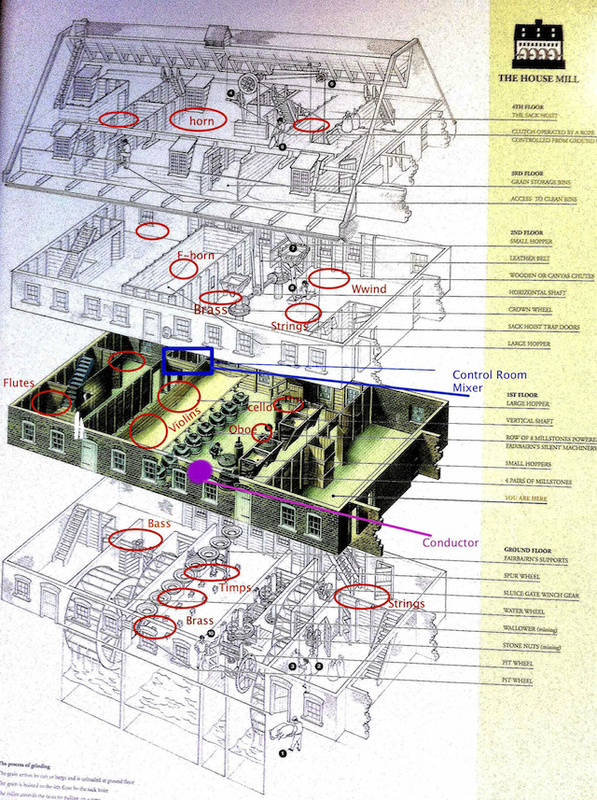 – Set over 5 floors of the largest surviving tidal Mill in the world. – 4 shows only on the 23/24th June 2012. MORE IMAGES AND VIDEO EDIT COMING SOON!! I hugely recommend making it to experience this project. Its one project I hold close to my heart and I have been chipping away at for years now. Orchitecture genuinely creates an astounding altered state experience, like no other. It is a unique chance to walk within an orchestra and a symphony as it unfolds around you. -this isn’t a video simulation , nor some art-noise use of an orchestra, it is a live, very real and yet completely altered state scenario. 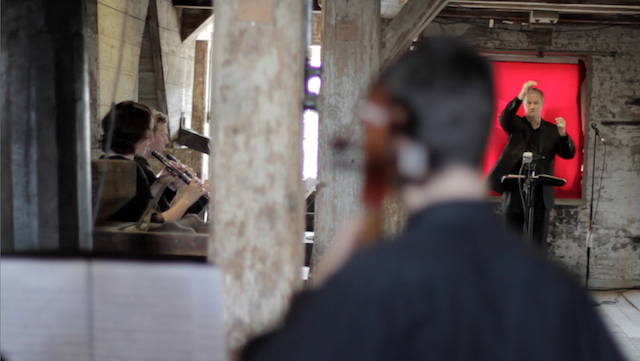 Most of the time I create installations using speakers to transform architecture and public spaces or creating swarm like flocks of speakers – Orchitecture is with a bunch of real people with real instruments, an orchestral flock. -Believe me organising & funding this doesn’t happen so often. London, UK Premier — Experience music as never before in this groundbreaking explosion of the orchestral concept. 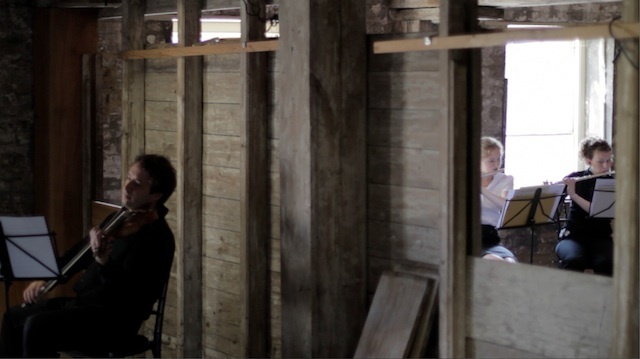 Orchitecture offers both an architectural sound installation and a unique orchestral concert, a site-specific installation from Artist Thor McIntyre-Burnie, produced here in collaboration with the New London Orchestra. 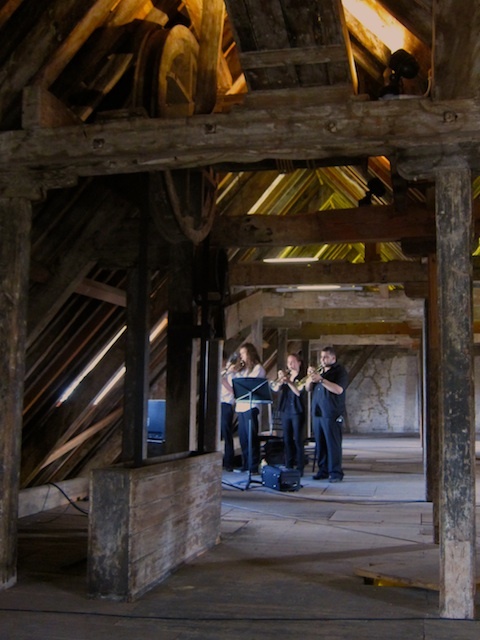 Orchitecture, the first ever musical performance at The House Mill, is a site-specific sound installation offering just four performances on Saturday 23rd June (3pm and 5pm) and on Sunday 24th June (3:30pm and 5pm). This rendition of Thors concept Orchitecture is being commissioned via the New London Orchestra in collaboration with the Newham Youth Orchestra. 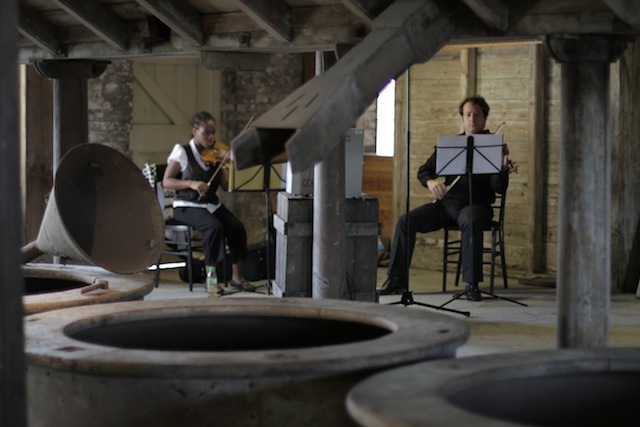 Dispersed throughout the mill, the orchestra, conducted live by Ronald Corp OBE, will perform Beethoven Symphony No. 3 ‘Eroica’ connected only by AV links. The New London Orchestra has been awarded a Transformers grant, funded by The National Lottery, through the Olympic Lottery Distributor, and managed by East London Business Alliance to undertake this project with Thor McIntyre. The Transformers grant programme is directing over £1.5 million of funding to communities in five of the Olympic Host Boroughs over two years. The grants are awarded to projects that really make a difference in people’s lives, particularly by those communities most affected by their proximity to the Olympic venues. 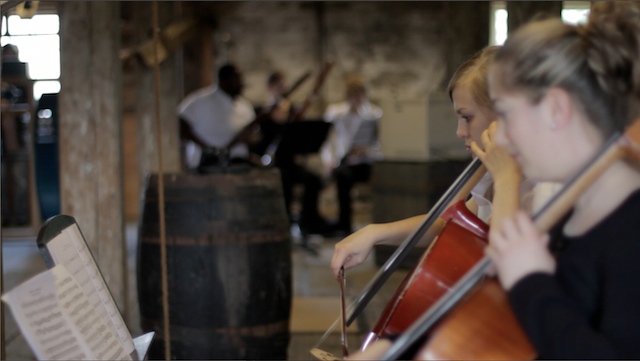 The New London Orchestra was one of thirty three organisations out of 170 applicants to receive this grant.